A small-scale geo on a textured hunter green, woven silk ground. Small silver lines create the geometric shapes among a field of white dots. In a mix of traditional and trendy colors, this tie can work for any style! 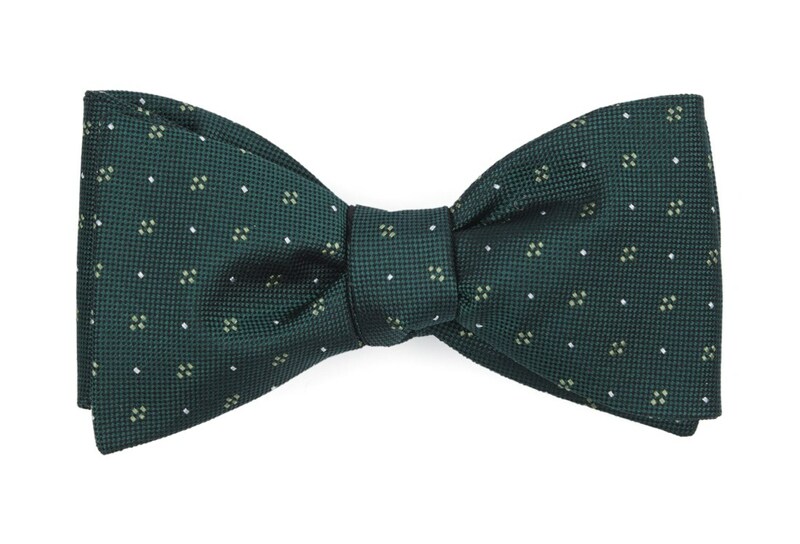 This bow tie is a Wedding Favorite - Translation: it's the perfect choice for your big day (or just another day at the office). Need help matching your bridesmaids dresses? It complements David's Bridal Holly. For more help, chat us, email us at weddings@thetiebar.com or call us at 877-888-TIES to speak to an expert.